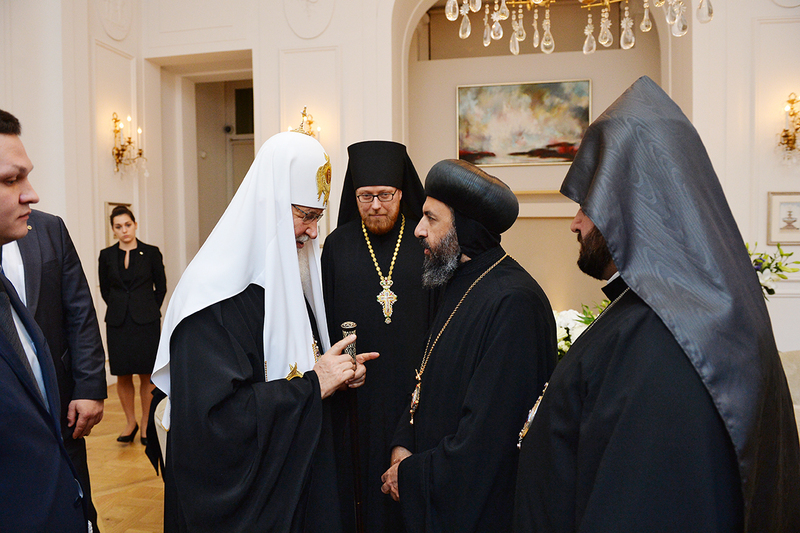 Patriarch Kirill of Moscow and All Russia – Primate of the Russian Orthodox Church met Coptic, Armenian and Syriac Orthodox Prelates in London during the reception organized on the occasion of the 300th anniversary of Russian Orthodoxy in the UK and Ireland. 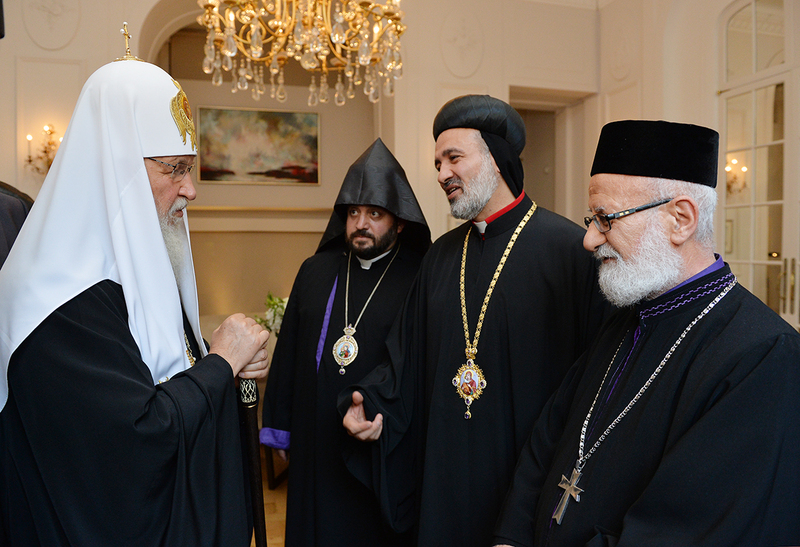 Patriarch met His Grace Angaelos – General Bishop of the Coptic Orthodox Church of UK, His Grace Mor Athanasius Toma Dawod Dakkama – Archbishop of the Syriac Orthodox Church of UK and His Grace Hovakim Manukiyan – Bishop of the Armenian Apostolic Orthodox Church of Great Britain. 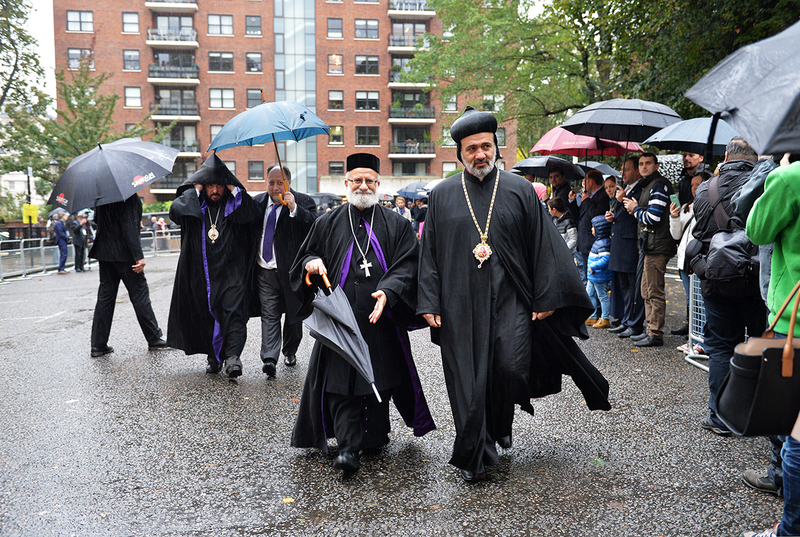 This entry was posted in Featured News, News and tagged Armenian Apostolic Orthodox, Ireland, Russian Orthodoxy, Syriac Orthodox Church, UK by Orthodoxy Cognate PAGE. Bookmark the permalink.